More Japanese games in the West? Yes please! The Nintendo 3DS has been a huge hit in Japan. It consistently tops the hardware sales charts by quite a distance and naturally this has led to many Japanese studios investing in creating software for the system. 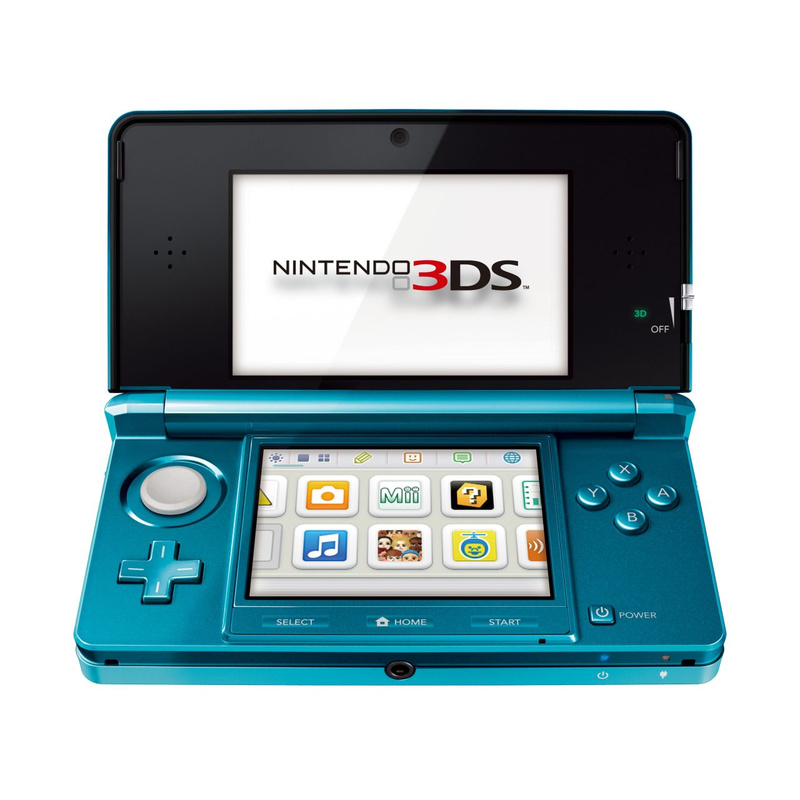 As handheld devices occupy a large share of the video game market and Nintendo 3DS has become popular in Japan, Japanese software developers are eagerly assigning their top teams to develop Nintendo 3DS titles. Crucially, he also said many of these titles currently in development "have sales potential for the Western markets". Nintendo is working hard to publish such titles in those regions. It would be fantastic to see more Japanese titles make it over to the West as so many have fallen by the wayside over recent years. Of course there are other third party titles coming to the West for 3DS including Batman Arkham Origins Blackgate, Sonic Lost World and LEGO Marvel Super Heroes. Nintendo believes this influx of software will really help push the platform forwards. This is the third year for Nintendo 3DS. Through the enriched software lineup, we aim to vastly expand the business of this platform in the Western markets as well as in the Japanese market. Would you like to see more Japanese titles make the leap over to the West? If so which titles? Let us know in the comment section below. If Layton VS AA isnt brought over to the west, I think I'm just boycotting capcom from them on, its getting to the point that their games are just always held at ransom, instead of just trusting the fans. Remember that facebook thing capcom did for the game we were most interested in? Layton VS AA won hands down on that vote, and still nothing, they're quick to forget when they want to. Just milking the fans as much as they can. Still waiting for "Fire Emblem: New Mystery of the Emblem: Heroes of Light and Shadow", Nintendo. First party game, so it's even easier do release in the west. And Ace Attorney Investigations 2, like LAA wrote. Keep em coming Japan. As an early adopting ambassador, I'm glad to see the quality and quantity of games churning out at such a good and consistent pace. @Uno An official release of New Mystery of the Emblem in English ain't gonna happen but there's still a fully translated ROM patch for it. Trust me, after the success of Awakening, players would be in for a horrible surprise to play New Mystery (it's pretty basic). This is great news! I prefer Japanese 3rd party over Western 3rd party. I don't need Call of Duty to come out on 3DS. 'Course with the snuggly relationship of Capcom x Nintendo, we should get those games, as well. Uh, and Fantasy life too! It's a shame western developers don't think the same, would love to see some cod, GTA, bioshock, mass effect style games. Dragon Quest and Fantasy Life are the ones I want the most. Oh, Monster Hunter 4. Please! The vast majority of third party titles that I play are Japanese, so, assuming such titles come west, this is an excellent development for my gaming. Start bringing Dragon Quest VII, Time Travelers, Fantasy Life, Layton vs AA, Monster Hunter 4. Then, get us some action adventure (in 3D) games. Since Bravely Default was already announced, all I want now is Dragon Quest VII, Fantasy Life, Layton vs Ace Attorney (and Investigations 2 if possible) and Time Travelers. Fire Emblem isn't a failure anymore, so can we please have Heroes of Light and Shadow for DS? That game is freaking region-locked on DSi and 3DS and I don't have an original DS or Lite to play it on. @LAA You're going to boycott Capcom games if Proffesor Layton vs. Ace Attorney doesn't get localized? You realise that Level-5 are the publishers, right? The more Japanese games the better. As for western titles, meh I couldn't care less. They basically make the same games over and over. Shooters and more shooters. With sports titles thrown in the middle. I want new ideas, not recycled ones. Three words: Ni No Kuni. This game belongs on Nintendo. It was written for children (and originally appeared on the DS in Japan). Take Level-5, add Ghibli, and you have a masterpiece that you will never want to leave. I loved this on the PS3, but imagine it on the Wii U. While you play the game on your TV, you could be reading the Wizard's Companion on the GamePad. A perfect use for the Wii U. @shinobi88 and that's the reason we get recycled games. Publishers are playing it safe and making games people "want". I tend to think people don't necessarily want these games, its just what's available. If Japanese third party games come over and sell, it would show these western publishers that different genres work, instead of doing the same thing over and over. Even these western RPGs were a breath of fresh air until nearly every western RPG offered the same nonlinear, multiple choice experience. With this "new" generation, I would like to see new ideas come to life, not the same old same old. @Coren, Japan has the EXACT same consoles to choose from as the US. So there is NO reason that it's possible for the 3DS to consistently hold a 50%+ market share in Japan and be at 18.5% in the West from Jan-March of this year. It is incredibly ignorant to think each market wants the exact same games. There is NO data that supports that. You want to sell in the West, you have to have Western-styled games, or else constantly be pushing out huge name IPs with world-wide appeal like Animal Crossing. Why are you assuming that I like jrpgs and I don't like shooters? I like shooters, but you have to admit that there is too many of them. I don't know if westerners will like the same games as the Japanese, but we really havent had a chance to see one way or the other. My problem is, as I said publishers and developers playing it safe and releasing the same type of games, year in year out. I don't understand why you're as mad as you seem to be, I'm just stating my opinion. Or is that not allowed on the comment boards? And I don't see why you want fps on the 3ds anyway. They don't transition well to handhelds as we saw by black ops 2 on the vita. FURTHERmore, picking ONE bad handheld 1st person shooter out of the many that have been released is another brilliant argument strategy on your part. Good job NOT looking at Metroid Prime Hunters (85% Meta-score) and 4 out of the 5 Call of Duty games on DS that all scored at least 73% positive on Metecritic, or Dementium & Dementium II both over 72%. Factor in that all of those were on the DS, which had extremely primitive 3D tech, and imagine what kind of quality shooters we could have on the 3DS, in 3D! I'm not arguing, I'm saying what I want, what I think. You're arguing, you're being condescending because I want something that different than what you want. And yeah cod bo2 sold well, but that doesn't change the fact that it wasn't very good. So let's litter the 3ds with poor ports of console shooters than? Is that what you're saying? I have supported this company since I was old enough to play the nes, I have my own tastes and they differ from yours, and you know what, that's fine. You're just being bitter because the type of games I lime are featured on the 3ds and yours don't seem to be. Console games and handheld games are different for the most part. In most cases they do not transition well over to each other. It just so happens that the modern Western game is more like a block buster movie than a traditional game. While that works for home consoles, that doesn't seem to be the case with handhelds. Look at the vita, it tries to be a home console on the go and that hasn't been a selling point as of yet. I really hope Cardfight Vanguard: Ride to Victory comes over. In addition, I hope Sword Art Online: Infinity Moment gets an English port to the 3DS. @shinobi88 yes I'm 10 and 11 and another 8. And no I'm not. I stated that I don't care about western developers, at no point did I say that you or anyone else should think the way I do. Nor did I try to convince anyone that they should. You on the other hand started this whole " argument", sticking to sales figures and ratings and technicalities. I say ports, you say they aren't. That's fine, but all I said was cod bo2 for vita wasn't well received and for the most part fps don't transition well to handhelds. You're just being argumentative, instead of just saying " fine, I understand you are just expressing your opinion". I never once said I speak for anyone other than myself. Is it ridiculous to suggest that console and handheld games different from each other? That maybe because of this, developers shy away from the platform? Im not saying this is fact and I wouldn't. So no I'm not arguing. I'm just stating my opinion, all the while not insulting you or being a condescending, which leads me to believe that you are the one that might be underage. If you really want fps, may I suggest you dust off your vita and start shooting people and let me have my personal preference and opinions. @Coren, your arguments, I mean "points" still do not make a lick of sense. When you say console & handheld games differ, you're implying that 1st person shooters are exclusively a console genre? I am just not comprehending why you would even say that considering the DS alone had over ten 1st-person shooters. 3DS does not have one. And it is a statement of fact, whether judged by the statistics I have mentioned previously, or the fact that a recent Game Informer poll showed that 1st person shooters were the #1 fan favorite genre among its readers, that the 3DS would see improved sales in the West if it added a few to its catalog . I cannot talk to someone whose points make no sense, so I'll save myself a headache and stop. No I say they work better on a console. The lack of a second slider doesn't help. We're not talking about the ds, we're talking about the 3ds and I'm sorry a genre you like isn't represented but as I said in my original post, "I" don't care for western developers. "I" think they recycle the same ideas over and over. Those are my opinions, nothing more. I didn't say it would be a bad idea having more western Dev support, obviously it would, I just don't care for them. @Coren, please quit addressing me. You don't make sense. You do realize that a comment like, "We're not talking about the DS, we're talking about the 3DS" implies that you think the DS is somehow more capable of producing the 3D graphics an FPS requires than a 3DS is? Wow. Three cheers for your perfect grasp of reality. The 3DS has a second slider, it's called the Circle Pad Pro. Again, thank you for your perfect grasp of reality. But as the many DS FPSs showed, the stylus offers a perfect level of precision. It is not my opinion that a Call of Duty game would increase 3DS console sales. Every fact and figure reinforces the idea. An opinion would be if I said I think it would be an exciting game. Which I do. And you don't have to. For real, my last response to you. @shinobi88 odd that you're asking me not to address you, when you are the one that started this whole thing. You keep arguing with me as if I'm debating something with you. Maybe you'll get it t this time. I am only stating my opinion, thats it. Why can't you just accept that? You can go on about sales figures all you want, it doesn't change the fact that I was stating my opinion and was not debating whether or not Nintendo needs western developers to support it. You have pretty much been arguing with yourself this whole time. I don't even read your posts, I don't need to because I'm not debating anything with you. The tale of our "argument" has been, I state my opinion, you using facts you got off the internet. I rebut with my opinion, and you again go and search facts and continue to argue. At which point I tell you for the tenth time that just expressing my opinion. You clearly put more into this than I did. That's why if you go through my posts you will see that I say " I think " a lot. Because I'm not claiming to be right or factual, just my opinion. How many times do I have to say I'm stating my opinion for you to understand that I'm only stating my opinion? @LeVideoGamer Oops, don't know about that, but I'm certain capcom must have some say in the matter too right? And if it was down to level 5, I'm sure they'd bring it here just for Layton. Capcom just annoy me lately, I just feel every game is being held at ransom, like its our fault it doesn't sell well and not theirs for promoting it and etc. just feels a kick in the teeth for fans who have supported them, and a lot of people clearly want AAI2, but still nothing, I just question their relationship with the fans. Bravely Default, Time Travellers, DQVII, DQM, Fantasy Life, Tomodachi Collection, the list goes on and on. It would be great in Square-Enix would stop releasing crappy sequels that nobody wants, and get back to releasing great games like the Dragon Quest and Dragon Quest Monsters series, as well as Bravely Default. I think this is already given. So many third parties creating games in 3ds. What I want is "Japanese Third Parties Investing More In Wii U Software". I want to see also that Third Parties on Wii U, if japanese even better. @Cesco I fully agree! I, too, want to see Tomodachi collection and Fantasy Life published here in Europe.